I was one of those lucky people who grew up on a beach. In my case it was St. Petersburg Beach, that comma of land that curves into the Gulf of Mexico on the west central coast of Florida. It was beautiful all year round, but the summers were especially wonderful. We spent most days on Pass-a-Grille at the southernmost end of St. Pete Beach, at the Rellim Hotel, which was owned by family friends, where the moms played cards and the children, well, romped. 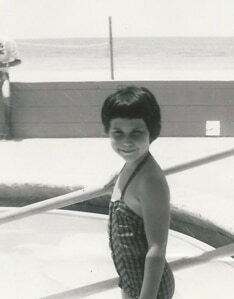 Some of my earliest memories include holding my breath. 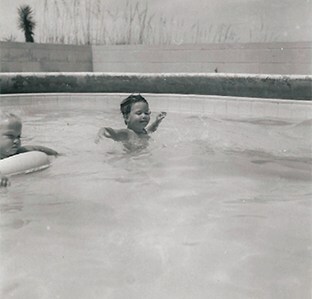 Family lore has it that I learned to swim before I could walk. I’m not sure ifthat’s actually true, but I do remember standing on the edge of the deep end where I would wait until people were watching (I guess I’ve always loved an audience) and then throw myself into the swimming pool and swim underwater to the other end where I’d come up for air to adult gasps of relief. I could and did spend hours in the pool doing handstands and trying to talk underwater clearly enough to be understood. Then there were the summersaults — how many you could complete without having to come up for air was a matter of pride. I’m happy to report that it looks like not breathing while ingesting large quantities of chlorine has had no long-term effect. 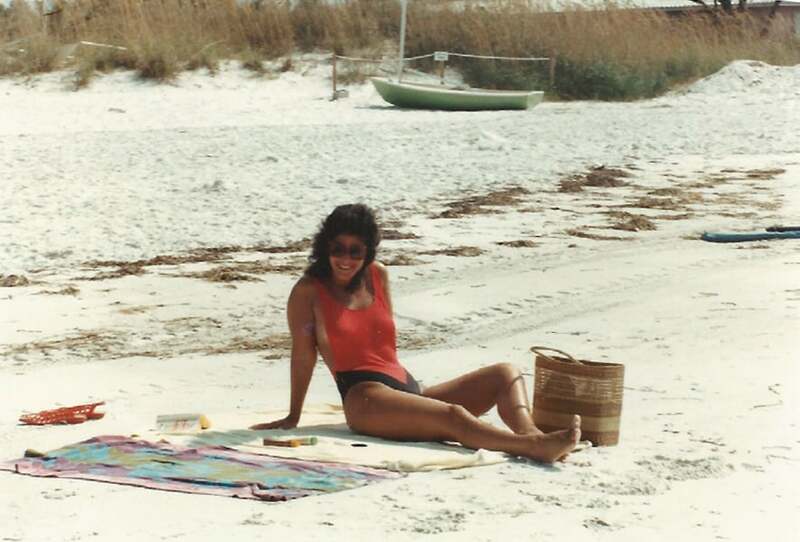 Those long, hot summer days were spent eating ice cream sandwiches and racing across the sand between the hotel’s freshwater pool and the salty gulf with occasional stops to build sand castles or dig for coquinas. Other days we’d cartwheel down the hard packed sand near the waters’ edge for what seemed like miles. During the school year, I went to the aptly named Sunshine Elementary, where we had a fish broil every fall and art class and P.E. sometimes took place on the beach. You can see documentation of all of this at the Gulf Beaches Historical Museum. My mother used to say that people who lived there had ‘sand in their shoes.’ I thought she meant this literally; after all there was sand everywhere—and not just in our shoes! It took me a long time to realize that she was referring to the pace at which everyone and everything moved—or didn’t. I grew up assuming that everyone lived across the street from the beach under the shade of palm trees and spent hours perfecting their underwater summersaults. And by the time I’d finished high school, I couldn’t wait to leave for somewhere more exciting. It took going away to fully appreciate how lucky I’d been to grow up in such an incredible place. I’ve searched out sandy spots around the globe, and never found a beach I liked more. Which may explain why when I began writing Ten Beach Road, the story of three women who lose their life savings to a Ponzi scheme and are left with only co-ownership of a derelict beachfront mansion, I spent a long time envisioning the house and about two seconds deciding on which beach it would sit. As often as possible my characters Madeline and Kyra Singer, Avery Lawford and Nicole Grant head out back to toast the sunset and search for at least one good thing to say about their day. In the process they’ve bonded, become good friends, and reclaimed their own lives even as they rescued and renovated Bella Flora. When I finished writing Ten Beach Road I assumed I’d move on to a new cast of characters, but I missed Maddie, Avery, Nikki and crew, and I kept hearing from readers who did too. It’s been a privilege and a great pleasure to continue writing their stories, their relationships, and especially their friendship. This is Paradise Grove where the ladies of Ten Beach Road like to go!